It’s Christmas and to celebrate this strange time of year I have decided to review a beer that eloquently describes the feelings I have towards the season. Bah Humbug by Wychwood Brewery! 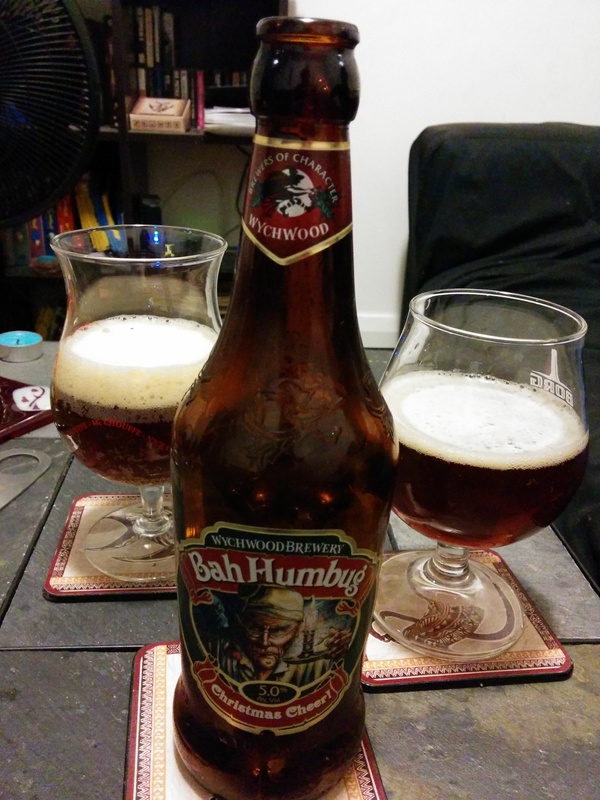 This is a seasonal beer that’s brewed with ‘Christmas cheer’ as the bottle says. Along with some cinnamon, barley and hops of course. A bottle of this brew will put you back a mere $2.90 and is available at most LCBO’s. It’s ABV is only 5%, which for a winter beer isn’t too shabby at all. Appearance: Brown ruby colour with a creamy head that fades fast. Aroma: Cinnamon and hops. Standard ruby ale smell if you took out the cinnamon. Taste: Way more cinnamon and maybe wheaty taste. Dark with richness to it. Reminds of a complex soda. Mouth feel is thick but soft. Aftertaste: Malty but doesn’t last long. A little sweet. Overall: A very enjoyable and festive beer. Something to dive into when you’re sick of the family.